The XTL5000 mobile radio is no longer manufactured, however accessories and replacement parts may be available. Please contact your Motorola representative for additional information. 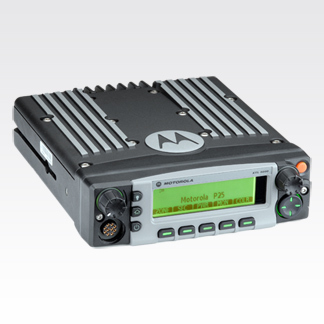 The ASTRO P25 XTL5000 digital mobile radio is equipped to meet the most demanding needs of your organization. The advanced architecture and ergonomic design comply with Project 25 standards, offering a clear signal, even in rough weather.The IP-enabled unit is easily upgraded so that applications can easily adapt to tomorrow's technological needs. Whether you are en route or on site, across the street or across the state, this mobile radio assures crisp, continuous and high-quality communications. Withstands rough weather and shocks. Supports 850 channels and multiple analog and digital protocols. Offers common user interface across tiers, to streamline training. Remains clear in all types of light. Allows users to drag and drop, clone and program over IP capabilities. Prepares radio for the next generation of IP-based mobile applications. Dimensions (H x W x D): 2.0 x 7.1 x 9.1 in.